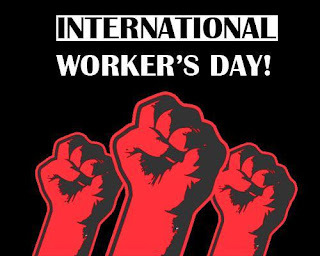 1st May is celebrated as the International Workers Day. It is also known as Labour’s Day or Worker’s Day or even May Day in some countries. Labour Day is a public holiday in many countries including India. In India, it is also known as the Antarrashtriya Shramik Diwas. In the 19th century, trade union and labour movements were growing in the US. It was decided that May 1 would be celebrated as International Workers' Day to commemorate the aftermath of a bombing at a labour protest. May 1 was chosen to be International Workers' Day to commemorate the 1886 Haymarket affair in Chicago. A rally took place in Chicago in support of the workers and during that protest, a dynamite bomb was thrown at the police. Gunfire was ensued and four civilians were killed. May Day was formally recognized as an annual event in 1891. This day celebrates labourers and the working class. Google marked International Labour Day with a doodle on its homepage to celebrate the working class in the organised sector. The doodle is an illustration that includes tools and equipment, including gloves, ladles and a torch, used in several trades to represent their work. In India, the Labour Kisan Party of Hindustan was the first to mark the day in Chennai on May 1, 1923. The party had passed a resolution demanding a national holiday on May 1.